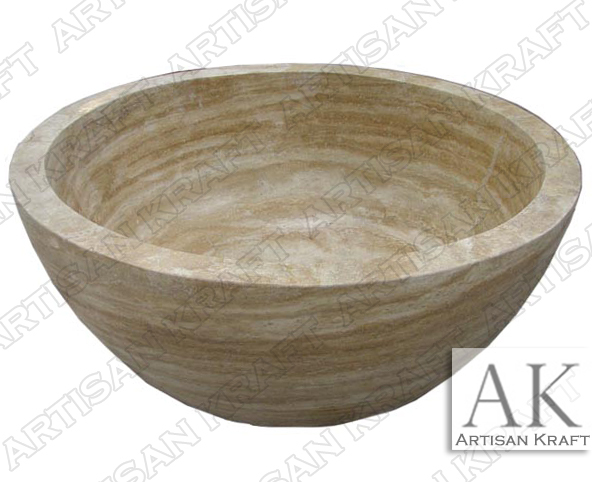 Freestanding round stone bathtub carved from real travertine. A fine beige color with beautiful wave like hues running the tub. A freestanding elegant tub is a perfect addition to your bathroom. Add a pedestal, change the size, including the height to customize it to your needs. A round tub is a perfect spa like experience in the comfort of your own home. These bowl bathtubs do require more space in the area that they are installed.